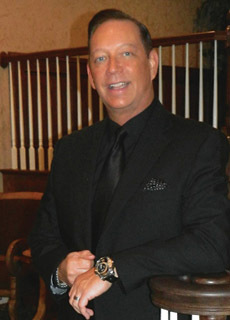 A very successful and distinguished multi-million dollar luxury agent, Kevin’s exemplary career as a Realtor, began over 13 years ago, advising and representing his select client group with their investments in luxury homes and condos throughout Scottsdale, Paradise Valley, and the Metro Phoenix, Arizona areas. Kevin possesses over 25 years of executive management experience from some of the most successful and influential Fortune 100 & 500 companies such as American Home Products / Wyeth-Ayerst / Pfizer Pharmaceuticals, Honeywell and Tech Data Corporations. Kevin also possesses refined skills in strategic negotiation, contracts, communication, market knowledge, marketing, and interior design. A Michigan native and graduate of Michigan State University, with graduate studies at University of Nebraska, and the University of Phoenix, Kevin has made Scottsdale, Arizona his home and personal paradise since 1996. Kevin is a graduate of the Arizona School of Business and Real Estate as well as the Elite School of Real Estate. He is an active member of the Scottsdale Association of Realtors, Arizona Association of Realtors and the National Association of Realtors. Kevin, has a love for his community and the people which make up the great state of Arizona and believes in giving back, working with charitable organizations such as; The Hospice Foundation, Komen’s Race for the Cure and the Phoenix Children’s Hospital charity, "Casino of Miracles". Serving his client’s real estate needs is Kevin‘s priority ! Kevin listens attentively to your expectations, delivers realistic strategies and partners with you through candid and continuous communication to execute a dynamic action plan created specifically for you to achieve the ultimate real estate success. Kevin's knowledge, attention to detail and communication gives you the confidence that he is the right choice for all your real estate investments and your expectations will be exceeded, one client at a time. "In a flash, totally on the fly, Kevin helped me find the greatest house in the greatest location for my children and I!"